ML: So often in a lesson, you only get to hear a student's sound as he plays by himself. How would you counsel him about playing in a wind section, about playing with others? JS: That's something that develops over time, and again goes back to that idea of specific contexts. You start to become aware of what is possible by hearing great orchestras and chamber musicians, and using those experiences as arbiters of what can be possible, developing personal goals for yourself. Generally speaking, in a wind section, the most important thing is to find a way towards cohesion so that all of the instruments have their own individual colors when they need to, but manage to sound blended when they're playing together, especially in octaves or unisons. 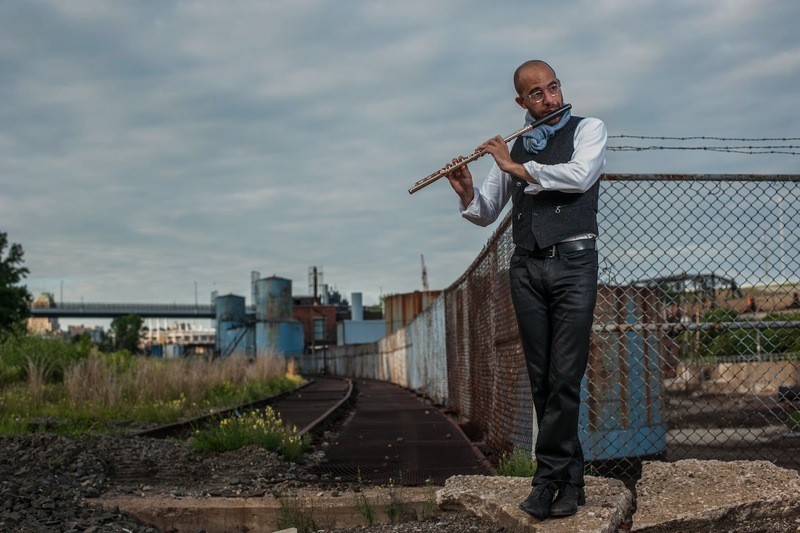 Somehow, what you end up creating is a sound that is a combination of two colors-- because of the way a flute and clarinet combine, for example, you get a new color that is the result of blending both separate colors. That's something that can only be done if you really understand the qualities of the other instrument you're playing with. ML: How does one go from just playing loudly to projecting, especially in a large ensemble? JS: That has a lot to do with air-speed, actually, and what I talked about earlier in terms of resonance. Sound goes the wrong direction if it has an edge or is forced, because when you start forcing air, you're not actually supporting it; rather than channeling the air column so that it's coming out of you quickly and steadily, you're anchoring something in your body so that the column tightens. Yelling might sound loud, but it doesn't necessarily carry the same weight underneath it that speaking resonantly can. From all the experience I've had, both listening to myself and my students play, hearing people both in big halls and small rooms, I know that a sound that is focused and round is what carries; again, that has a lot to do with air speed: what projects into a space from a wind instrument is sound created with round and spinning air. Just like with a voice, focusing your energy on depth and enunciation is what carries the sound forward. Back to that book, Bruser's The Art of Practicing. As I try to explain this to you, I find myself listening carefully to my own voice, exactly in the moment, while I'm speaking. That's such a great practicing technique, becoming aware of what you sound like, because as you listen, you start to learn what is possible. Having feedback from others helps, too: "When you do that it doesn't carry into the hall as much as when you do this" is helpful, and having gotten a lot of feedback like that, I know that projecting takes a lot less effort than most people think it does. The effort is meditative more than forceful, so that you end up expressing yourself rather than yelling.